Underscoring Apple’s commitment towards the environment and its ongoing effort to be as eco-friendly as possible, the company earlier today announced a new disassembly robot designed to take device recycling to the next level. 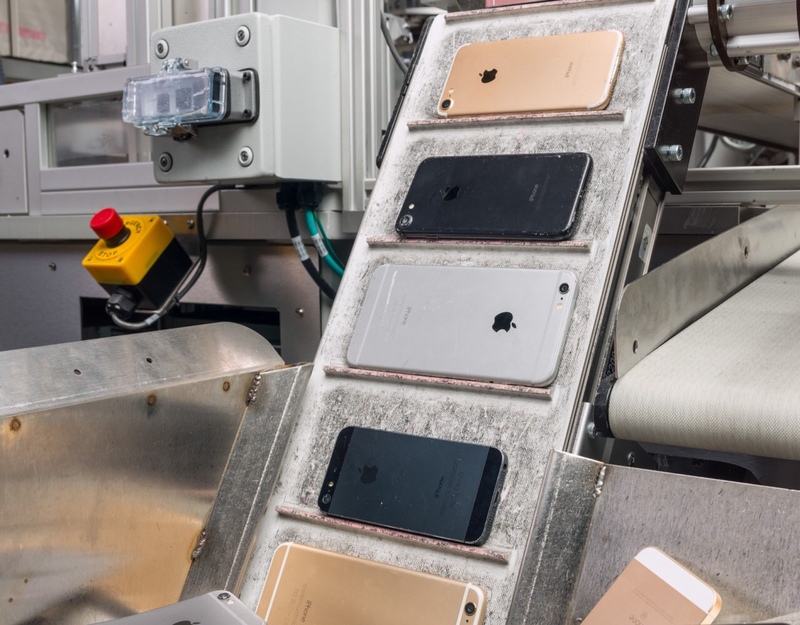 Dubbed Daisy, the robot is designed to retrieve high-quality iPhone components that even traditional recyclers can’t recover. If this at all sounds familiar, it’s because Apple unveiled a similar robot called Liam about two years ago which was engineered to remove iPhone components safely and quickly so that they could be re-purposed for other uses. At the time, Apple estimated that Liam was capable of dismantling 1.2 million iPhones per year. Daisy, though, is a tad more efficient as it can dismantle 200 iPhones per hour, a figure which roughly translates to a tad more than 1.75 million devices per year. Alongside the Daisy announcement, Apple today introduced Apple GiveBack, yet another environmentally oriented initiative. Under the Apple GiveBack program, Apple will make a donation to Conservation International for every device users return to the company from now up until April 30. Apple of course has shown an arguably unrivaled commitment towards reducing its carbon footprint relative to other tech heavyweights. Just about two weeks ago, Apple noted that every single one of its facilities across the globe now runs entirely on 100% renewable energy.